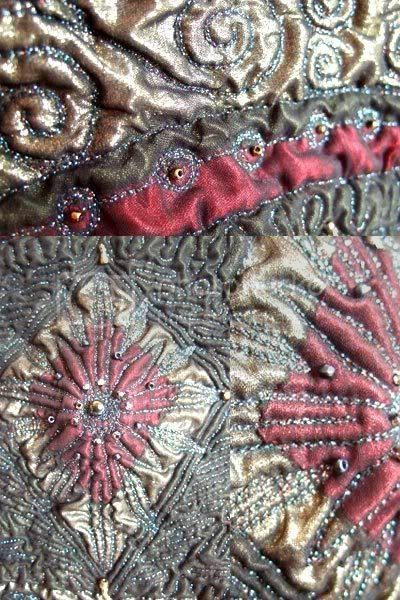 Crafting Heroes Interview with Marcia Crookes, textile artist. | CraftBoom! The artistic Marcia Crookes of Seedstitch, read more about Marcia here. Marcia: You could say I have been in the business since 1993 when I lived in France and made and sold quilts over there. However, it was not until I qualified in patchwork & quilting (City & Guilds) in 1998 and got a teaching qualification, that I started teaching textile based workshops free-lance all over the north of England. 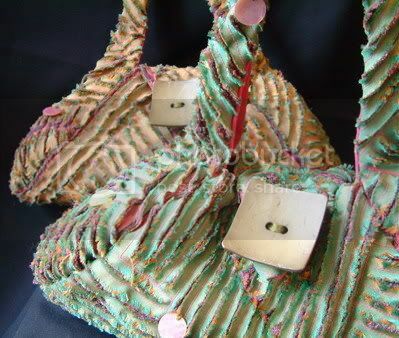 These workshops included ‘hot texture’ handbags. Close up view of some Hot Texture…yep, I have to agree that is indeed HOT! Marcia: I do work from home when I make items, but travel to workshops to teach. I have my own ground floor work rooms – one to do the sewing and the other (which was the garage) to do all the dyeing and printing. Just now I sell my items from a few galleries/shops that are easier for me to get to and replace anything that sells! However, I am hoping to get my bags into more outlets in other cities and towns in 2008. I have a website/blog (www.seedstitch.com) where I also sell my bags which is better for me financially because I don’t lose 40% commission to galleries/shops. Having said this, galleries/shops are great because they get your work seen ‘in the flesh’ and people can try them before buying. I exhibit both solo, with my calligrapher/artist husband (www.rcrux.com) and with the textile group I am in called ‘Textilia III’. I also participate in a yearly ‘open studio’ for artists in North Yorkshire, which is great for selling and through this, galleries have asked me to provide items to them. 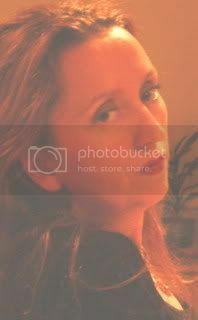 Marcia: I have always loved creating things and went to art college in Leeds between 1979-1982 doing 3D/ theatre set design. I did some voluntary work for Leeds playhouse (painting scenery), then got a paying job at Virgin records for 10 years! I met my husband there, who is an artist and he persuaded me to get back into doing my art. We both moved to France and I started making and selling quilts over there – this was my first financial craft adventure! Marcia: I decided not to pay to advertise because I already had many contacts through teaching and knew I had some outlets for my work any time I wanted it. I decided to focus on bags and gave myself about a year to make as many as I could, whilst still teaching workshops to finance me. The biggest cost has been buying items such as fasteners, zips, wadding, interfacing etc. I also designed a label, which my husband made look wonderful with his computer skills and then had this made into fabric labels to stitch into my bags and card labels to hang on the outside. Cat face bag. Very striking and fun! 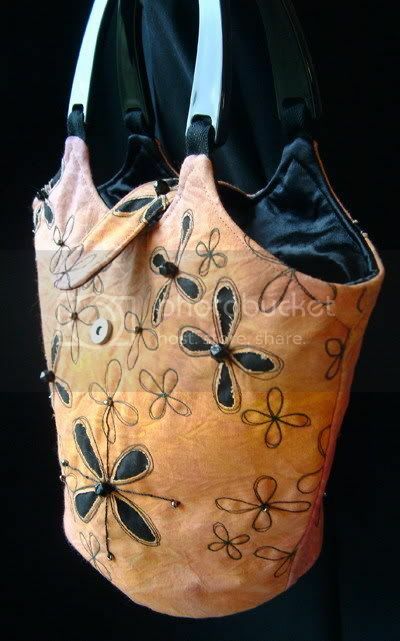 Marcia: I make lots of different things such as vessels and wall hangings/quilts, but I focused on bags because they can be used every day to carry those essential or special items. As I trained in 3D design, bags are a natural progression for me and I can sell more bags than I can wall hangings! CraftBoom! : When did you realise that your craft business had real potential? Marcia: Whilst I was doing my City & Guilds, people were asking me “how have you done that?” This made me decide to do a teaching qualification so that I could actually show people how to do things properly and with confidence and at the same time make a living out of sharing my ideas. Marcia: I’m naughty because I don’t do as much as I know I should! I have had leaflets made in the past to promote my workshops, but 2008 will see me advertising in certain magazines and approaching more galleries/shops for my bags. Marcia: I’m still learning, but I think you should get your prices right at the beginning and sell items for what you KNOW they are worth. It is no good slaving away and selling things cheap, because then you are working a lot harder for less. It is better to do higher quality work for more money. I have had to put my prices up because I was too cheap and then I felt guilty and was worried customers would see the large increases and not come back. Marcia: I love working from home and having the freedom to make a mess! I always have great music playing and enjoy most things I do. What I like least about having my own business is promoting my work (I’m a natural maker, rather than seller) and doing my accounts! Marcia: Do market research into what is ‘in/out’, but then make what YOU want to, rather than what you THINK others want you to do! I find the items I actually like myself sell well and the ones I have done because I thought the colours/patterns might be popular, have not sold. 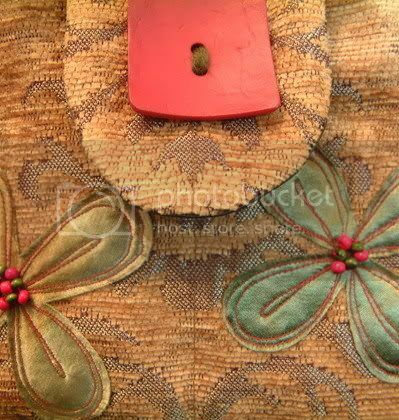 Detail shot of dyed and stitched satin flowers on a bag. Marcia: I am satisfied with my income from the teaching, but would like to earn more from the bags in the future. Marcia: I do think I will always be a small business because I like to do everything myself! I should do more to advertise my products on the net and in the real world – so I think I have a lot of hard work ahead of me yet. One of Marcia’s incredible wall hangings. Thanks for the interview Marcia , as usual I am blown away by your work, and you make me look lazy! I wish you the best of luck in all you do. Crafting Heroes Interview with Georgia Hadley; Co-founder of Craft Revolution, Owner of August Lately, & Crafty Mom! Wow Marcia, you’re a star!! Great article! Marcia is the truest of artists! Her work is totally phenomenal and I’m blown away that she makes everything herself! Every single item is breathtaking. Thank you for featuring Marcia Crookes, artist extraordinaire! Another great interview. Marcias bags are stunning and really individual. Lovely interview, lovely work Marcia. Now, I’m a guy, and don’t carry bags around….but Wow! You’ve designed very unique and gorgeous bags, and the wall hanging is striking as well. 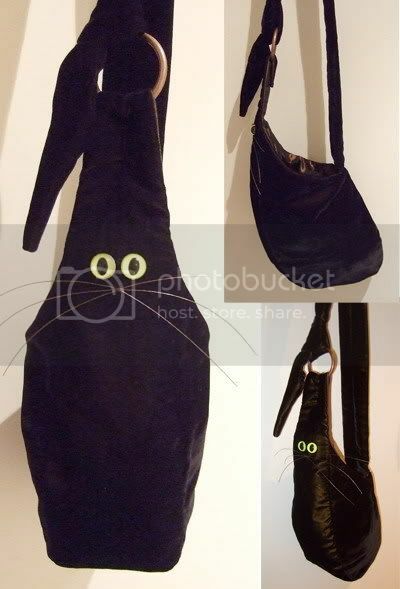 The cat bag is cute (my daughter would love one I’m sure! Hmmm. Continued success oh musical one! Jolene on How to use Flickr to increase traffic to your craft business. Karen in Wichita on How to use Flickr to increase traffic to your craft business. Creative Mom Cafe » Blog Archive » Crafts, Crafts, and More Crafts on How to use Flickr to increase traffic to your craft business. Melanie on How to use Flickr to increase traffic to your craft business. Carrie S. on How to use Flickr to increase traffic to your craft business.